FICTAP have recently posted a letter addressed to Hon. Edgardo Masongsong of National Electrification Administration (NEA) about the NEA Memorandum No. 2018-055 – Standard Joint Pole Agreement and Pole Rental Rate. FICTAP have recently posted a second letter directly addressed to Hon. Eliseo M. Rio Jr., DICT OIC-Secretary about the protest and objection in the strongest term to the unabated MOU signing between DICT and electric cooperatives with the objective of allowing the electric cooperatives to engage in the delivery of fast and affordable internet. 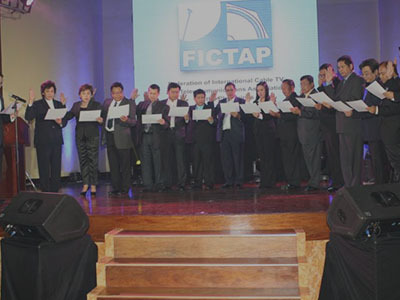 FICTAP have recently posted a position paper directly addressed to Hon. Eliseo M. Rio Jr, the DICT OIC-Secretary, about the MOA between DICT and NEA to tap electric cooperatives in delivering fast and affordable internet. 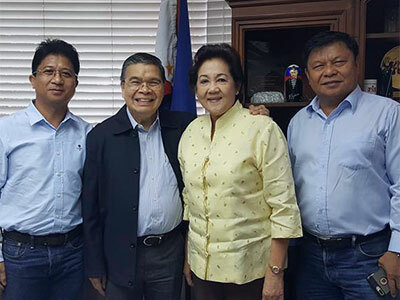 FICTAP also stated that the organization is in full unison with his objectives as exemplified by its own slogan and battlecry, "Bawat Pilipino, Dapat Konektado." President Duterte warns corrupt officials: "Do not withhold business permits"
President Rodrigo Duterte on Sunday warned that he will fire corrupt government officials who withhold business permits for micro, small and medium enterprises (MSMEs). This submission pertains to the request to provide suggestions regarding the National Broadband Plan / SRN 28 (A Resolution Directing the Appropriate Senate Committee to Conduct an Inquiry, in Aid of Legislation, on the Status of E-government Agencies). This submission pertains to the request to provide inputs on the draft substitute bill to HBs 4389, 4468, 4501, 4787 and 4996 entitled "AN ACT PROVIDING FOR THE DEFINITION OF PUBLIC UTILITY, FURTHER AMENDING FOR THE PURPOSE COMMONWEALTH ACT NO. 146, OTHERWISE KNOWN AS THE “PUBLIC SERVICE ACT,” AS AMENDED". This bill seeks to regulate the use of utility poles, related support structures and rights of way for the transmission of TV or telecommunications signals, as well as the rates, terms and conditions for pole attachments under a just and reasonable framework, and hereby authorizing the National Telecommunications Commission as the implementing body. An Act regulating Poles, Pole Attachments, and for other purposes. This bill is anchored on the State's recognition of the vital role of communication and information in nation building. Subject: Implementing Rules and Regulations on Republic Act 10515 or the Anti-Cable Television and Cablen Internet Tapping Act of 2013. Pursuant to Section 7 of Republic Act No. 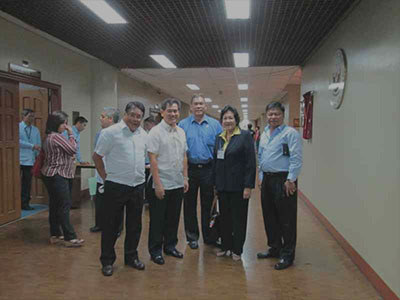 10515 and in line with the provisions of Executive Order Nos. 546 and 205, Act 3846 (Radio Control Law) as amended, Act 146 (Public Service Act) as amended, the National Telecommunications Commission hereby adopts and promulgates the following Rules and Regulations to implement the aforesaud law. It is often observed that the law lags behind sweeping social and technological developments of the time which significantly redefine our ways of living. In such circumstances, the law has to keep abreast with these changes in order to maintain its preservative and regulatory function in society. An Act Prohibiting & Penalizing Unauthorized Interception, Reception or Use of any Signal or Service Over a Cable Television System or Cable Internet System And/Or Network, and for other purposes. 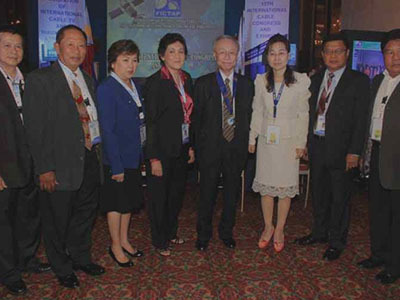 The draft for the "Pole Attachments Act of 2012" was developed after a thorough review of the relevant foreign legislation and jurisprudence and with considerable inputs from the FICTAP board and other industry stakeholders. It was written in such a way that would best address the various industry concerns and within a just and reasonable framework. The primary benefits of the proposed law are as follows. An act regulating poles, pole attachments and for other purposes. Be enacted by the Senate and the House of Representatives of the Philippines in Congress assembled. © FICTAP 2012 - 2019. All Rights Reserved.